The Thousand Points Of Light Memorial Waterfall lies dry at the center of the Super 7 Mega Mall food court tetrahedron, and everybody’s got an opinion as to why. Hair triggers, we have them. In this new reality of hot takes and burning questions, it’s fun to clamber onto a roof and shout “BELL BOTTOMS” over and over into the night sky. Jon Spencer Blues Explosion strut their way outta “Frontier Justice” in its college radio days and into this new consciousness, the latest FJ delivery system being Spotify. And speaking of that new consciousness, on this set JSBX drops into the void between Danny Brown‘s stuttering, claustrophobic “Ain’t It Funny” on one side and Lady Gaga‘s “Diamond Heart” on the other. Young, wild Americans, both. 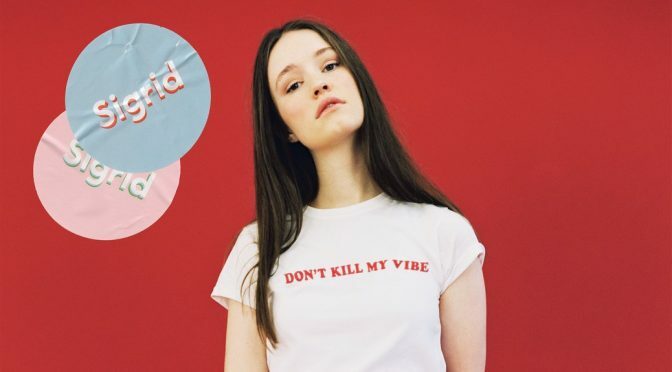 At the top of the set, Norway’s Sigrid makes her debut with “Don’t Kill My Vibe” and M.I.A. returns with the typically martial “P.O.W.A.” Minor Threat and Agent Orange remind us that the establishment was riling up the youth in the early moments of the Me Decade, Patti Smith remains royalty, and “Said It Already” is new, incisive and grooving from young Londoner Ama Lou. Elsewhere, Tommy Genesis oozes volatility and effortless after-hours club cool on “Art,” and Dai Burger wants to be your class president. Did you know Michelle Branch is back? Hopeless Romantic is her first full-length in 13 years; it was written and co-produced with Patrick Carney of the Black Keys, and sounds like it. Angel Olsen released one of 2016’s best records in My Woman — The engrossing, cinematic “Sister” is a highlight — and digging deep into the Spotify Sound Vaults reveals classic material in a new light: Elvis Presley brings both vulnerability and bluesy swing to an alternate take of “Heartbreak Hotel,” and The Supremes are full of funky soul on “Bad Weather,” the 1973 nugget produced and written by Stevie Wonder. There’s some Ratt along the way, because after all, what goes around comes around (and they’ll tell you why), L.A. Witch is back with cool new stuff for Suicide Squeeze, RTJ remind us to stay hungry and pissed, and Eminem is no less than unhinged on “No Favors,” one of the many standouts on Big Sean‘s terrific new record I Decided. You can also try an Apple Music playlist. Let me know if this works. -ed.